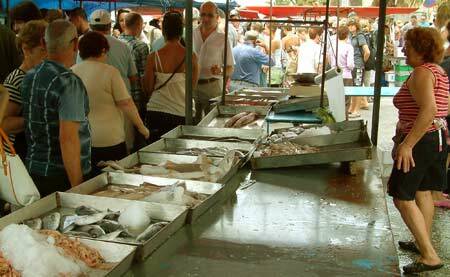 There are various outdoor markets in Malta for everyday essentials and souvenirs. Most markets also sell livestock such as ducks and chickens, animals and birds as pets. You have to be up early to get the best produce and prices, most markets end by 1 pm. As with all markets, you can haggle for best prices. Vendors of tablecloths and other expensive items also accept credit cards. Fresh fruit and vegetables can be purchased from mobile greengrocers shops that tour various areas and sell their goods. Some of them also stock additional groceries.